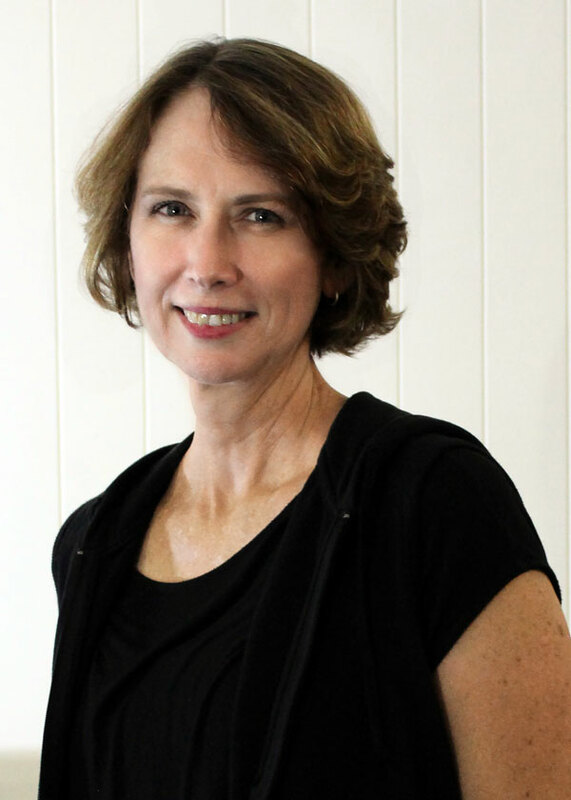 Andrea is a Level One member of the Pilates Alliance Australasia and holds a Diploma of Professional Pilates through PITC. She is also an accredited Buff Bones Instructor, a medically endorsed program for joint and bone health, which is specially aimed at those suffering from osteopenia/osteoporosis. A Registered Nurse for 25 years,Andrea found Pilates 15 years ago when she was looking to address her own personal injuries. Her teaching style is both empathetic and a perfectionist, as she works with clients to achieve both a quality of movement and self-awareness. She has worked as a Pilates instructor in several studios throughout Brisbane and continues to be mentored by one of Queensland’s leading Pilates instructors. She says she is thrilled to be part of the Body Revolution team. Anne has been teaching at Body Revolution for three years and has a diploma in Pilates Studio and Mat with Polestar. She draws on her history and passion for classical ballet in her classes. She began pilates in 2003 looking for a solution for chronic lower back pain. Anne was so amazed by the new connection she felt her muscles and increased body awareness that she felt the pain relief she experienced when practicing Pilates was almost secondary. As a teacher, Anne loves sharing her knowledge and working with others to move more every day, keep mobile and enjoy a sustained healthy and happy life. She is currently studying to become a postpartum corrective exercise specialist, after she was inspired to help women before and after giving birth when she was pregnant. Anne's baby boy was born in November 2017. Anouk started with Body Revolution in 2016 and has completed her Polestar certificate 4 in Mat Instrution. Currently Anouk is taking mat classes on Monday and Thursday nights, as well as some Saturday morning classes. In 2019, she will also be taking some studio sessions. Anouk was drawn to Pilates in an effort to strengthen her back and to learn more about anatomy. As an instructor she enjoys Pilates as a method for keeping her body strong and helping others realise the joy of intelligent movement. She loves the the strong, energised and happy feeling that she gets after an hour on the mat. Anouk also enjoys taking classes for Mums and Bubs. She believes it is so important for women to reclaim their bodies and become strong again. Anouk loves bush walking and multi-day hikes in the mountains. She has hiked in Nepal, France, North and South America, Turkey, the United Kingdom, Africa, New Zealand and Australia. She says her Pilates passion is the perfect way to keep in condition for her love of the outdoors. Cristiane has always had a passion for movement, sports and being healthy. She studied to obtain a Bachelor of Physiotherapy in Brazil and has a Certificate IV matwork pilates and a Diploma of Polestar Pilates Studio and Rehabilitation Method. Cristiane says she loves teaching pilates as she can see people bodies changing, getting stronger and pain free. She says it boosts her clients' self-confidence through the roof. The two things Cristiane loves to hear is: “Wow, now I can do this exercise!" and “I feel so good now and I even don’t have any back pain anymore!" Cristiane is married and has two gorgeous girls. She loves the outdoors; camping, trekking, mountain biking, stand up paddle boarding, skiing and snowboarding (which she is still learning). Nadia started with Body Revolution in November 2017 as a Pilates Matwork instructor. She has a Certificate in Pilates Instruction (Matwork) from PilatesITC. Nadia was an ESL (English as a Second Language) teacher when she began practicing Pilates. Within six months, she felt stronger and had more energy. Nadia says Pilates had a great effect on her mind as well. She greatly appreciates the way Pilates exercises and strengthens deep muscles, which leads to better fitness, a stronger core and improved posture. When she was looking for a career change, Nadia decided to become a Pilates instructor as she enjoys doing the exercises and sharing the great feeling with those who want to get better lifestyle. When she is not in the studio, Nadia enjoys taking photos of every single beautiful thing that meets her eyes. She likes nature, keeping plants at home and spending time with her friends. Pilates for Kathryn is a family affair. As Sharon’s sister, the timing was right in 2012 to come on board and help with the administrative set up of the studio. She has continued on in this role in a part-time capacity. Kathryn’s background is in Human Resources and Recruitment. Kathryn loves sport and fitness and has always loved the gym. She started doing Pilates in 2012 and has become more body aware and loves the flexibility and strength she has gained from doing both. Her husband and 14-year-old son are now both Pilates converts. Kathryn’s focus for 2018 is on family, health and well being and taking that leap into Pilates instructor training. Liljana (Lilly) first discovered her love of Pilates while studying full-time ballet with the Queensland Conservatoire of Ballet and then New Zealand School of Dance. Once she experienced how beneficial Pilates was for her overall health and wellbeing she decided to combine her love of dance teaching with Pilates instructing. She completed her Pilates qualifications with Polestar Pilates and holds a Diploma of Professional Pilates. Lilly also teaches ballet, jazz and contemporary dance. She is currently studying to become a primary school teacher. Luisa started doing Pilates with Sharon Porter in 2012. She discovered Pilates was the only method of exercise that helped relieve her neck and back pain and was so impressed with the amazing results, she decided to study Pilates. She joined Body Revolution as a Pilates Instructor in February 2017. Luisa has completed her Certificate in Matwork Pilates, Diploma of Professional Pilates Instruction and Buff Bones® Instructor Training through Pilates International Training Centre. Buff Bones® is a US medically endorsed system of movement for bone and joint health. She is also a Level 1 Member of the Pilates Alliance of Australasia. Luisa is also a qualified Personal Trainer holding a Certificate 3 and 4 in Fitness and has previously worked in gyms and fitness centres as a Personal Trainer and Group Fitness Instructor. Luisa continues to incorporate weight training at the gym into her personal exercise repertoire. From personal experience, Luisa has a special interest in working with people who are suffering or have previously suffered from breast cancer to help them regain confidence and better movement during the recovery process. Luisa would like to do further study and specialise in this area. Donna has been a client at Body Revolution for six years and is now part of the “behind-the-scenes” team, working on the newsletters, helping with the website and anything admin or IT based. She has been doing her regular mat class for six years and has sung the praises of Pilates for helping her to be pain free with her lower back problems. Donna’s background is in administration and IT. In her early career, she worked in Office Management, then changed careers and worked in IT for several years before taking time off to raise her 3 children. In her spare time, she is a taxi driver for her children, and enjoys spending time with family and friends, good food (prepared by someone else), and would like to spend more time being creative – painting, drawing, sewing, jewellery making, she’ll give anything crafty a go! Ruani has been a professional actor, singer and teacher for more than 20 years. Since graduating from UQ in 1993, she has continued to extend her range of styles to include classical, musical theatre and contemporary singing. While studying at the Actor’s Centre Australia, she was introduced to the Linklater Voice Method (Freeing the Natural Voice), and in 2003 she was granted a travelling scholarship to continue her Linklater studies with Shakespeare and Company in USA. Her Linklater studies not only profoundly influenced the way she performed, but also influenced her approach to teaching both the speaking and singing voice. Since her return to Australia, she has performed in numerous theatre productions in Sydney, and has continued to develop her own unique approach to voice teaching in Sydney and Brisbane. She is currently the Choir Director and Voice Teacher at Mt St Michael’s College, Ashgrove and has private voice students at Body Revolution. Her interest in psychosomatic therapy has supported her passion in finding holistic ways to connect the body/mind to support her students to grow personally through singing freely.